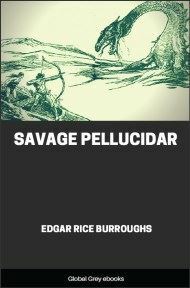 This is the sixth book in the Pellucidar Series. 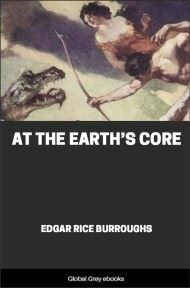 This is the penultimate novel in the series and the last to be published during Burrough's lifetime. 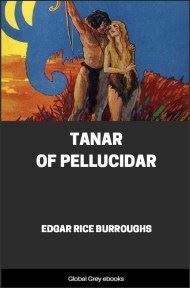 Unlike most of the other books in the Pellucidar series, this novel was never serially published in any magazine because it was rejected by all of Burroughs's usual publishers. 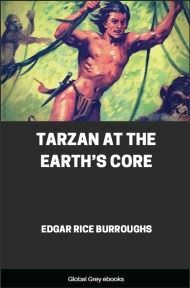 The novel tells the adventures of David Innes on his return from Lo-Har to Sari in the wake of the events of Back to the Stone Age. When Jason Gridley got in touch with me recently by radio and told me it was The Year of Our Lord Nineteen Hundred and Thirty-nine on the outer crust, I could scarcely believe him, for it seems scarcely any time at all since Abner Perry and I bored our way through the Earth's crust to the inner world in the great iron mole that Perry had invented for the purpose of prospecting for minerals just beneath the surface of the Earth. 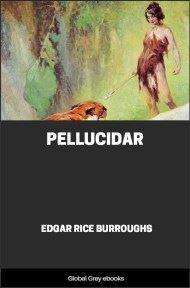 It rather floored me to realize that we have been down here in Pellucidar for thirty-six years. You see, in a world where there are no stars and no moon, and a stationary sun hangs constantly at zenith, there is no way to compute time; and so there is no such thing as time. I have come to believe that this is really true, because neither Perry nor I show any physical evidence of the passage of time. I was twenty when the iron mole broke through the crust of Pellucidar, and I don't look nor feel a great deal older now. When I reminded Perry that he was one hundred and one years old, he nearly threw a fit. He said it was perfectly ridiculous and that Jason Gridley must have been hoaxing me; then he brightened up and called my attention to the fact that I was fifty-six. Fifty-six! Well, perhaps I should have been had I remained in Connecticut; but I'm still in my twenties down here. When I look back at all that has happened to us at the Earth's core, I realize that a great deal more time has elapsed than has been apparent to us. We have seen so much. We have done so much. We have lived! We couldn't have crowded half of it into a lifetime on the outer crust. 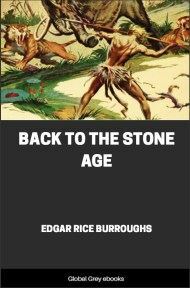 We have lived in the Stone Age, Perry and I—two men of the Twentieth Century—and we have brought some of the blessings of the Twentieth Century to these men of the Old Stone Age. They used to kill each other with stone hatchets and stone-shod spears before we came, and only a few tribes had even bows and arrows; but we have taught them how to make gunpowder and rifles and cannon, and they are commencing to realize the advantages of civilization. I shall never forget, though, Perry's first experiments with gunpowder. When he got it perfected he was so proud you couldn't hold him. "Look at it!" he cried, as he exhibited a quantity of it for my inspection. "Feel of it. Smell of it. Taste it. This is the proudest day of my life, David. 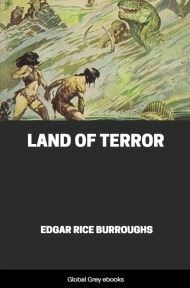 This is the first step toward civilization, and a long one." Well, it certainly did seem to have all the physical attributes of gunpowder; but it must have lacked some of its spirit, for it wouldn't burn. Outside of that it was pretty good gunpowder. Perry was crushed; but he kept on experimenting, and after a while he produced an article that would kill anybody. And then there was the beginning of the battle fleet. Perry and I built the first ship on the shores of a nameless sea. It was a flat-bottom contraption that bore a startling resemblance to an enormous coffin. Perry is a scientist. He had never built a ship and knew nothing about ship design; but he contended that because he was a scientist, and therefore a highly intelligent man, he was fitted to tackle the problem from a scientific bases. We built it on rollers, and when it was finished we started it down the beach toward the water. It sailed out magnificently for a couple of hundred feet and then turned over. Once again Perry was crushed; but he kept doggedly at it, and eventually we achieved a navy of sailing ships that permitted us to dominate the seas of our little corner of this great, mysterious inner world, and spread civilization and sudden death to an extent that amazed the natives. When I left Sari on this expedition I am about to tell you of, Perry was trying to perfect poison gas. He claimed that it would do even more to bring civilization to the Old Stone Age.